The Book Bond: Centenary novel author, title announced! Centenary novel author, title announced! New York (AP) — James Bond will soon be back, in bookstores. DEVIL MAY CARE, a novel written by British author Sebastian Faulks and authorized by the estate of the late Ian Fleming, is due to come out in 2008, the centennial of Fleming’s birth. According to the Doubleday Broadway Publishing Group, Devil May Care is set during the Cold War and, like so many Bond adventures, moves about a variety of scenic locales. 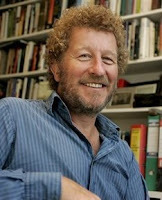 “My novel is meant to stand in the line of Fleming’s own books, where the story is everything,” Faulks, whose books include Birdsong, Charlotte Gray and the upcoming Engleby, said in a statement issued Tuesday by Doubleday. “In his house in Jamaica, Ian Fleming used to write a thousand words in the morning, then go snorkeling, have a cocktail, lunch on the terrace, more diving, another thousand words in the late afternoon, then more martinis and glamorous women. In my house in London, I followed this routine exactly, apart from the cocktails, the lunch and the snorkeling.” Fleming, who died in 1964, wrote such favorites as Goldfinger, Dr. No and From Russia With Love. Sean Connery, Pierce Brosnan and Roger Moore are among those who have played the debonair secret agent on screen. The Bond series has continued over the past 40 years, with Kingsley Amis and John Gardner among those writing stories. Corinne Turner, managing director of Ian Fleming Publications Limited, said Faulks was ideal for the job. “We had him in mind for our centenary novel for quite some time. He has an ability to write convincingly in whichever period or genre he chooses, and his novel On Green Dolphin Street in particular made me think he might enjoy exploring the world of Ian Fleming and James Bond,” Turner said in a statement. Film rights have not yet been sold, Doubleday said. UK UPDATE: According to the UK press release, Devil May Care will be published by Penguin Books in the UK on May 28, 2008.